What’s the scoop: It doesn’t take very long to find the next bus meta, as he is a well-intentioned EMT who can steal and transfer a person’s powers. The team rightly realizes that he would be a good ally to have against DeVoe. He is skittish when Iris and Joe confront him, and inadvertently transfers Barry’s powers to Iris after The Flash is called in to rescue Iris. Meanwhile in B-plot Land: Harry is pretty much obsessed with trying to find a technological way to thwart DeVoe. 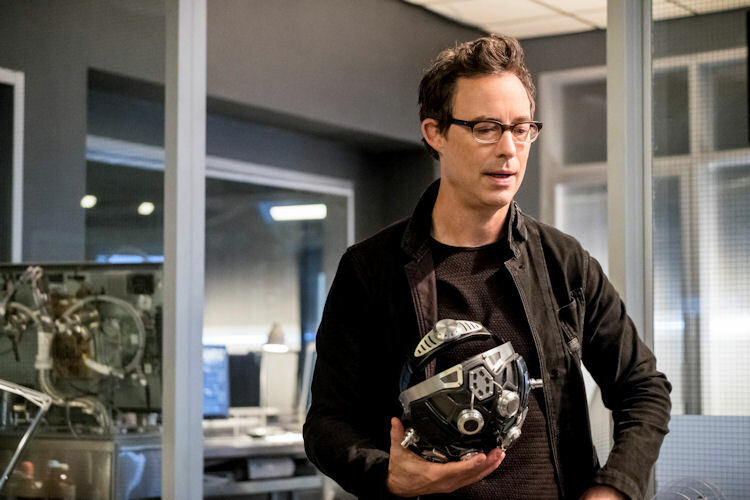 His latest attempt is fighting cybernetically enhanced brain power with cybernetically enhanced brain power, by recreating the Thinking Cap that gave DeVoe his powers in the first place. Everybody but Cisco is on board with letting Harry run with the idea. Eventually, Cisco comes on board, but only after they agree to go about this carefully and not use dark matter as a power source. There are some funny bits with Ralph when the first attempt causes the helmet to burst into flames. Harry eventually gets the helmet to work, and Harry has boosted his already high intelligence. With his newfound brain power, Harry divines the names of the two remaining metas. I’m not sure where all this is going for Harry, but it doesn’t feel like a good thing. What about the action: There were a couple of head-scratchers surrounding Iris this week. First, were her interactions with Ralph, who has reverted to his more cowardly ways now that he knows what DeVoe wants to do with him. And, he throws the fact that Iris doesn’t go out into the field in her face as an excuse for his cowardice. It’s not until the end of the episode that Iris remembers, say that whole year when Savitar was trying to kill her, and the many other times she put her life on the line armed only with a questionably reliable piece of Cisco tech and a whole lot of moxie. Then, there’s the rest of the team, when Iris actually gets Barry’s powers … Barry, who has been the Flash for three years now, rarely goes out into the field without backup. Mind you, it’s mostly been Ralph, but someone to watch your back is someone to watch your back. But when a crisis arises, Cisco, Caitlin and Ralph are all hands in pockets, whistling to the ceiling, leaving Iris and her entire afternoon’s worth of training to save the day, solo. 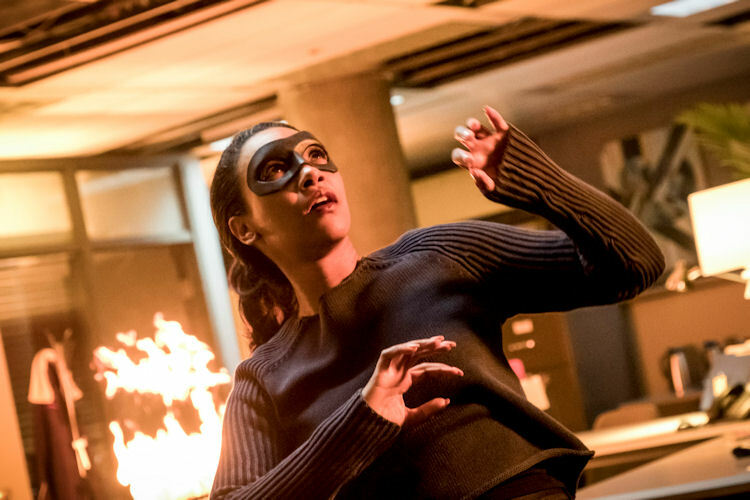 And, while Iris’ managed to get the job done by generating a giant tidal wave to crash into a meta with fire powers, this was another example from these CW shows, when people act out of character because the plot demands they do. In the end, it’s no wonder why Iris was so willing to give her powers back to Barry. What’s next: Hey, remember when Iris had a real job as a reporter, but suddenly stopped showing up so she could hang out in the Team Flash clubhouse? Neither did anyone else, but hey her time with powers has led Iris to back to blogging, so there’s that. DeVoe can’t come back soon enough. Last impressions: This was an episode that was kind of fun, but mostly frustrating. The parts where Iris actually used the speedster powers were cool. She got her own color of lightning, and some fresh perspective on what all the team actually does. 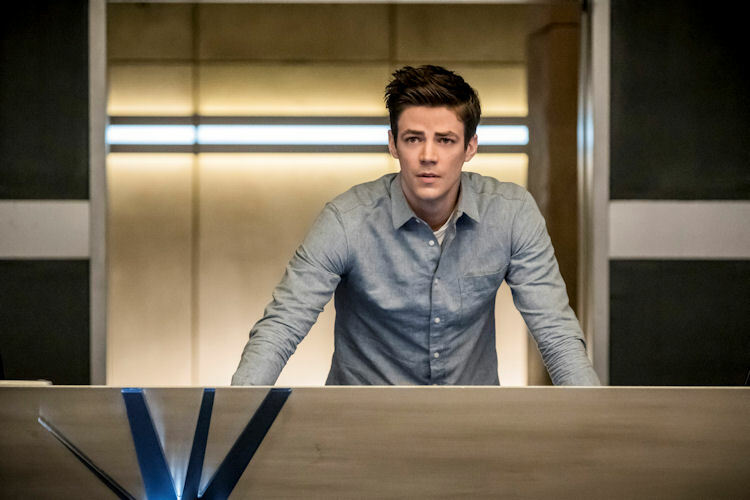 DeVoe had better come back next week, because there seemed to be a lot more fertile story-ground that could have been covered with Barry and Iris switching places. The hunt for the other metas just seems hollow without DeVoe in active pursuit. The battle over The Fiddler a couple of weeks ago was tense; this week’s meta hunt was just kind of there. When you top that with the team uncharacteristically not being good teammates, you can guarantee there was some yelling at the TV, out of frustration.